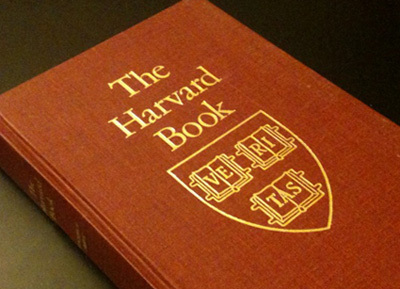 The Harvard Prize Book has been presented annually to deserving high school students since 1910. Students from nearly 2,000 high schools all over the world are recipients of the Prize Book, including the US, the UK, China, Taiwan, India, Croatia, Malaysia, and the Philippines. HUAAS has decided to participate in this tradition starting this year. Invitations have been sent to local pre-university institutions (comprising junior colleges, polytechnics and institute of technical education) to participate in the Harvard Prize Book (Singapore). Each school will, after an internal nominating process, select one deserving graduating student to be the awardee. After much deliberation, our committee chose sustained caring character and service leadership as the main criteria. Academic and co-curricular excellence can be considered by the school, although these are not strict requirements. Our committee’s rationale is that a healthy civil society depends on people who are committed to their communities and who, at pivotal times, will put the common good before their own. The Harvard Prize Book is also intended to inspire students in Singapore with the idea that Harvard is an attainable institution of higher learning, and to connect students to the Harvard community in Singapore. The award is a useful book recommended by Harvard Alumni Association titled “Making the Most of College: Students Speak Their Minds” (Harvard University Press, 2001) written by Prof. Richard J. Light from our Graduate School of Education. The awardee’s name and the book donor’s name will be inscribed on a book plate. The Prize Book will be presented to the awardee during the school’s graduation ceremony or annual awards day. For more details, please visit: https://harvard.sg/harvard-prize-book/. If any Harvard alumnus would like to donate funds for the purchase of these prize books, please contact any one of the committee members or email us at [email protected] Thank you.